Our stylish slippers are sized for most members in the family, from teens to adult men. 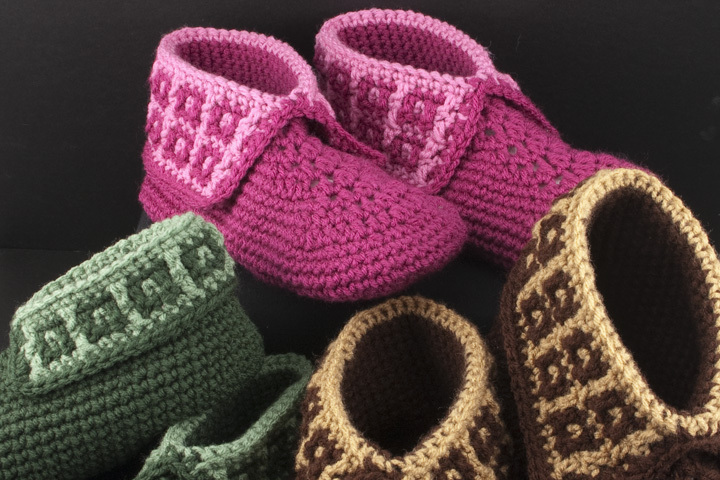 They can be made with any worsted weight yarn of your choice. If smaller slippers are desired, simply use a smaller hook and sport weight yarn. These slippers are perfect for stash busting and make great gifts, too! Note: Slippers stretch when worn. Choose smaller size than foot for best fit.